Who will take the trophy: Ashley Sutton or Colin Turkington? 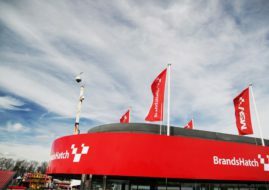 The 2017 British Touring Car Championship season’s finale is ahead of us, with Brands Hatch Grand Prix Circuit as a traditional venue of the championship decider. This time, only two drivers can win the title – Ashley Sutton (Team BMW/Adrian Flux Subaru Racing) and Colin Turkington (West Surrey Racing/Team BMW). The race for the most prestigious title in British motor sport will end on Sunday (October 1) with a head-to-head duel between the 23-year-old driver from Essex in his second BTCC season and the 35-year-old Northern Irishman who already has two BTCC trophies in his hands. 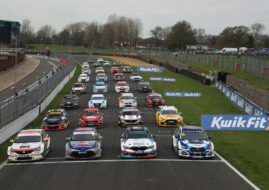 After nine rounds and twenty-seven races, in which Sutton won six times while Turkington triumphed three times, the driver of the #116 Subaru Levorg GT has ten-point gap (338:328) ahead of the driver of the #4 BMW 125i M Sport. With 67 points on offer over the final three races, everything is possible during a weekend at the iconic circuit in Kent. “I’m in a strong position. I just need to carry on the momentum we’ve got. Brands GP is a circuit I love and I’m feeling confident heading into the finale,” Sutton said. “I’m obviously on the back foot. From race one I’ve got to start reducing the deficit. It’s a positive that it’s only ten points now. I have nothing to protect heading to Brands next weekend, it’s all clear in my head – I’ve got to outscore Ash (Sutton) at every opportunity. 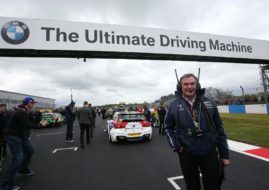 It’s very straightforward for me from that point of view,” Turkington added. There would be also an exciting fight for the third place in the championship, as reigning champion Gordon Shedden (Halfords Yuasa Racing, Honda Civic Type R) sits in P3 with one-point advantage over Tom Ingram (Speedworks Motorsport, Toyota Avensis). Ingram is also the leader of the Independent drivers’ standings, 31 points ahead of Jack Goff (Eurotech Racing). Power Maxed Racing’s Senna Proctor already secured Jack Sears Trophy for rookie drivers, building a gap of more than hundred points over Ant Whorton-Eales. Among the manufacturers, BMW and Subaru are coming to Brands Hatch separated by 46 points. Team BMW leads the Teams’ standings with 93-point advantage over Halfords Yuasa Racing.